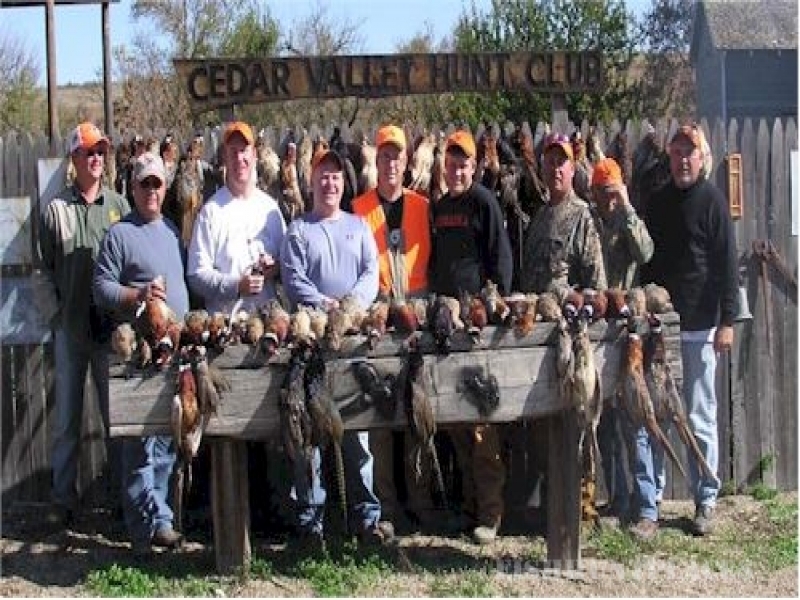 Cedar Valley Hunt Club is located in near Stanton, Nebraska. 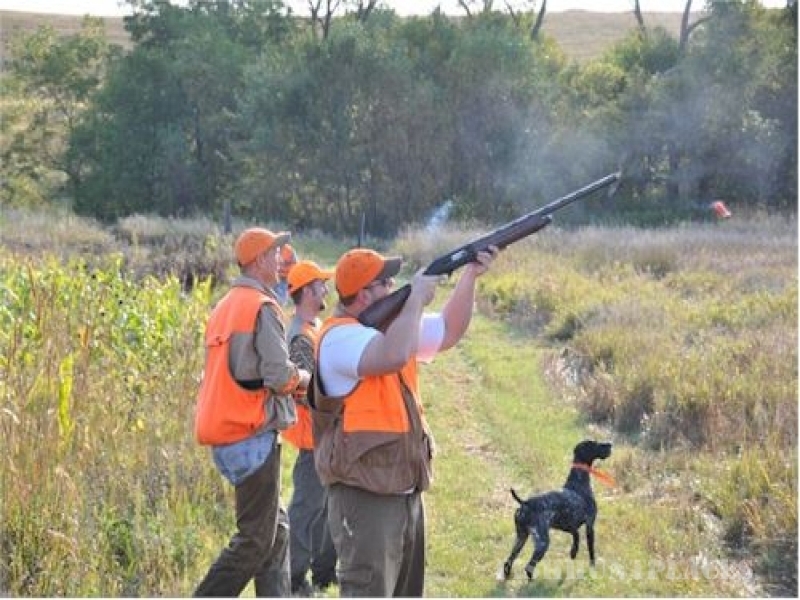 We are in the heart of Nebraska's best pheasant hunting, only 15 minutes from Norfolk, Nebraska, 100 miles from Omaha, Nebraska, and about 70 miles from Sioux City, Iowa. 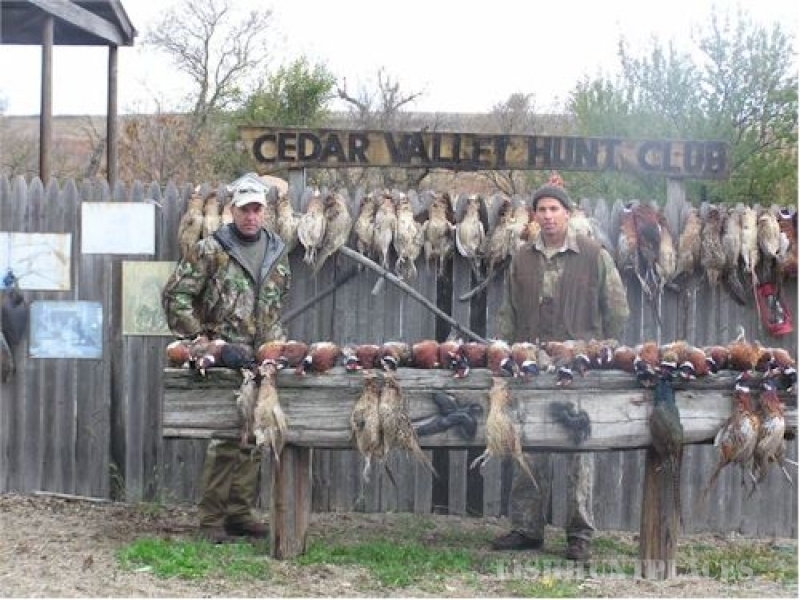 Hundreds of acres of Cedar Valley Hunt Club's privately-owned land awaits you. With CRP grasslands, food plots, crop lands, two streams and a large pond, all of the land is managed for hunting productivity. Home to abundant pheasant, quail, and whitetail deer, the gently rolling hills provide the perfect backdrop for your hunt. Every sportsman understands the bonds created in the field. Business associates become friends. Friendships become stronger. Families grow closer. We welcome small groups as well as larger corporate hunts. And with a season running from the first of September to the end of March on the preserve, we can accommodate busy schedules. 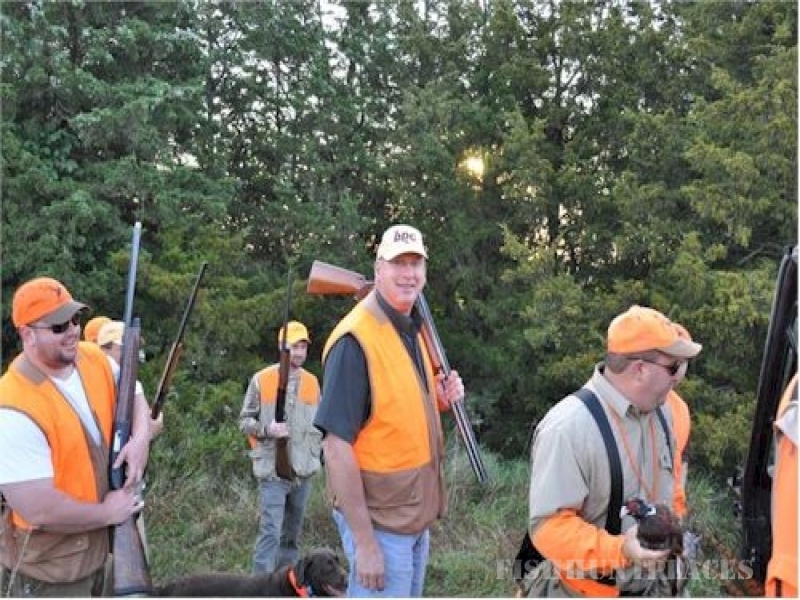 Whatever kind of group you're interested in bringing, Cedar Valley Hunt Club will work with you to provide just the right hunting experience -- from the business group hoping to solidify a relationship to a father taking a son for his first hunt. let us know what you want, and we'll try our best to make it happen. Can you imagine a better way to reconnect with old friends that with the flush and fury of pheasants? Call your friends, then call us for reservations. 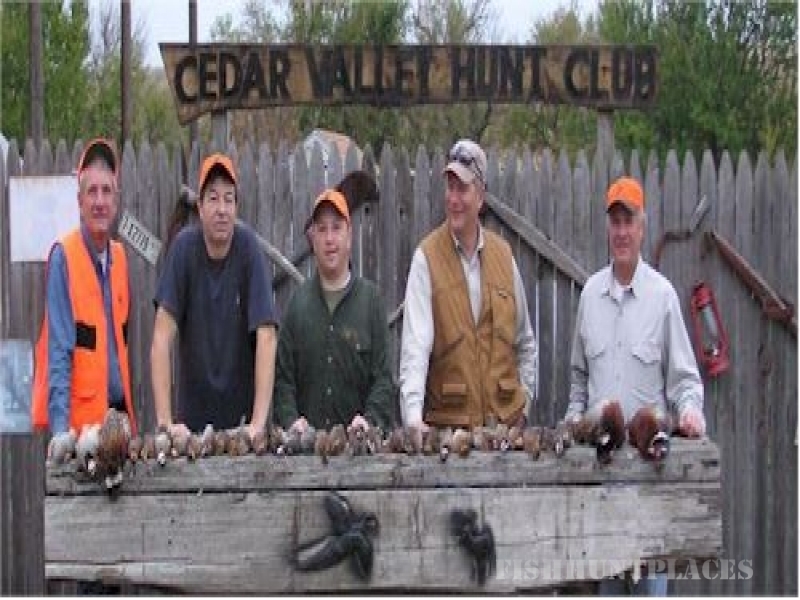 Cedar Valley Hunt Club has professional guides available with trained dogs that have years of guiding experience. If you wish to use your own dogs, you are more than welcome to bring them along to enjoy your hunting adventure. 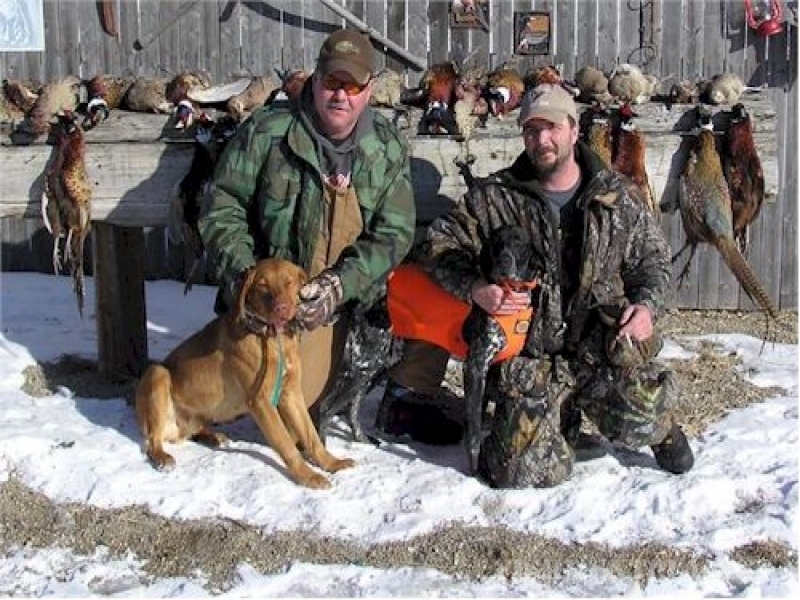 If you're looking to hunt several days, or members of your party are traveling long distances, restaurants and hotel accommodations are available in nearby Wayne, West Point, or Norfolk, Nebraska. Let us know what you need to make your trip complete, and we'll help work out all of the details. Popular dates fill up early, and to make your event special, we only accommodate one party per day. Make your reservations early to ensure the best dates.